Great news - our new district app is available for download in the Apple and Google Play stores. iPhones: Search the app store for "Unit Seven Schools." Our app should be the first to appear. Android Phones: The app is available in the Google Play store under the name Unit Seven Schools but can be difficult to find since it is new. Searching for "Unit Seven Schools apptegy" improves the search result. The app and upgraded website have several new features, most notably the ability to communicate through notifications and a news feed. 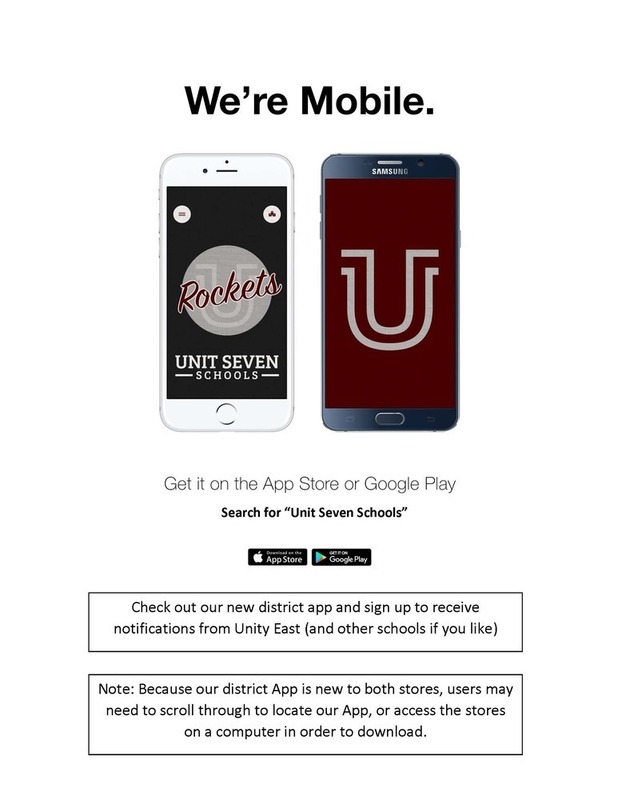 When you download the app you can choose to receive notifications from Unity East, as well as our other district schools and athletics. We hope that you find this to be a useful resource!